The first rule when it comes to getting rid of acne scars is to watch what products you use on your skin. In the craze to find a lasting solution to acne, many people are quick to use just about any product that claims to out a permanent stop to acne. The catch with most of these products is that they tend to have harsh chemicals that only irritate your skin, thus making the condition even worse. Be choosy with all the products you use on your face, and pick those that are gentle on your skin over the more abrasive ones. Another way to help prevent acne is to ensure that you get enough sleep every night. Lack of sleep has been shown to contribute to getting acne, as well as to poor health in general. There is a reason it’s called beauty sleep- it does help keep your skin looking its best. Another habit that you should inculcate in yourself is that of keeping yourself hydrated. The water helps keep your skin hydrated, which can go a long way in battling acne. Do not wait till you feel thirsty- be sure to drink enough water every single day, and watch those scars vanish off your face. Commit sometime every day to get a good work out. Not only will the exercise help keep you fit and in shape, it is also helpful in getting rid of acne. As you exercise, you will sweat a lot. This sweat helps to clear your pores. If you want to know how to get rid of scars, the answer lies in having clean and unblocked pores. And one of the best ways to unblock your pores is to sweat through exercise. 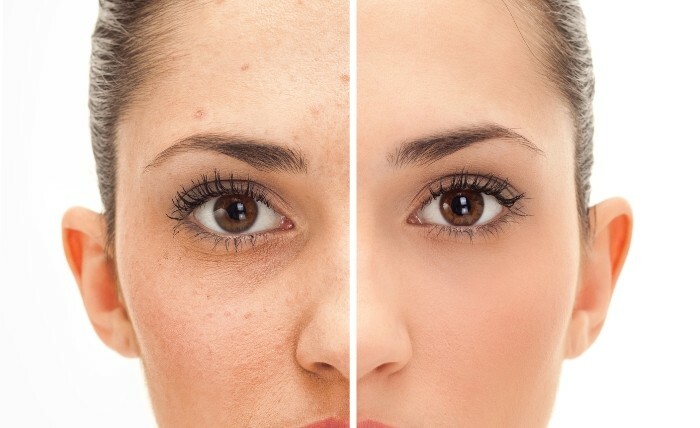 In order to lighten the scars left behind by an acne breakout, you should consider using natural skin bleaching agents. No other agent is half as effective in lightening acne scars than lemon juice. It is also relatively mild and gentle on your skin, so there is little danger of it doing your skin any harm. You can mask your face with lemon juice overnight. With time, the scars should begin to fade away. One has to admit that the urge to pick on the annoying pimples that simply pop on your face without warning can be overwhelming. But tempting as it may be, you have to fight the urge with all your might. For one thing, picking on these pimples interrupts the natural healing process that your skin undergoes when ridding itself of the pimples. Secondly, you may end up spreading bacteria to unaffected parts of your face, thus resulting in blackheads and more pimples. So by all means, avoid picking on pimples. Diet has a direct impact on your skin, so you should also be careful what you eat. Cut down on the sugars and the refined foods as they have been proven to make acne worse. Instead, increase your intake of vegetables and other healthy foods, and only eat the necessary portions of food. Honey is an effective treatment for acne due to its antibacterial and anti-inflammatory properties. You can simply apply it on the affected area and watch it sooth the pain and the pimples away. Honey is also mild, which makes it ideal for those with sensitive skin. Nothing can substitute for exfoliating in your war against acne. Try to exfoliate your face several times in a week. If you can manage to, exfoliate daily. Exfoliation gets rid of the old dead skin on your face, thus revealing the beautiful skin underneath. When you are at war with acne, you want as much dead skin off your face as you can, and the best way to do this is to exfoliate regularly. The single most effective way to get rid of acne is to have high hygiene standards. Of special importance is the need to sleep on clean sheets every night. Since you spend hours in bed every day, you need to ensure that the sheets you sleep on are clean. Bacteria thrive in a dirty environment, and it is these bacteria that cause the acne breakouts. Be sure to sleep on clean sheets and keep your hygiene standards high.